I’ve missed out on the previous two Midnight Mysteries games, the first being The Edgar Allen Poe Conspiracy and the second being Salem Witch Trials, not because I wasn’t interested in the subject matter, but because I have never really been impressed with the games that Mumbo Jumbo puts out. Samantha Swift and the Hidden Roses of Athena was a subpar hidden object game. Likewise Matt, Ashe and Chuck all had less than positive things to say about the Crazy Chicken Trilogy. So what made me decide to take the plunge with Devil on the Mississippi? Well, any video game that pits Samuel Clemens AKA Mark Twain against William Shakespeare in a battle across centuries, and that involves the machinations of Mephistopheles itself has enough of an original hook that I had to give it a try. 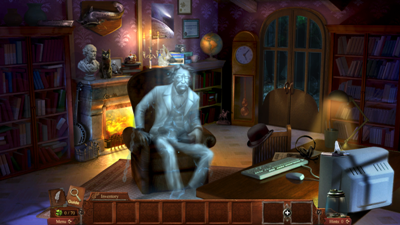 So did the third installment of the Midnight Mysteries series prove to be one of the better adventure games of 2011, or was the concept the only good thing about the game? You are the nameless protagonist of the Midnight Mysteries series. You are sitting in your den one evening when the ghost of Mark Twain materializes before you, pleading for your help, as the Devil itself is hot on the trail of his soul. After you agree, you’ll be transported to various locations, from not only Samuel Clemens’ life, but those of importance to the Bard himself, William Shakespeare. It turns out that Clemens uncovered evidence that Shakespeare did not actually write his own works, and that if that evidence was made public, Mephistopheles would lose ownership of the soul who wrote them. To prevent this, the Devil plagues Twain’s life with tragedy and torment – from bankruptcy to outliving his children in hopes of making Clemens sell his own soul as well. It’s a pretty out there plot, but a fun one to be sure. The only thing I had a problem with, story-wise, is the assumption that Shakespeare didn’t write his own works. This is a conspiracy theory right up there with “birthers” or people that think Elvis and/or Tupac are still alive, and they have been disproven countless times. However, this is a video game, not an actual attempt as a paper or an essay on Shakespeare to prove this, and so, being in the realm of fantasy, something that would normally annoy the hell out of me became amusing and fun – especially when you discover who wrote Shakespeare’s plays and why he hid his identity. It’s also a lot of fun to see Mark Twain characters interact with you one second and then the witches from MacBeth or Kit Marlowe the next. It’s such a surreal and insane concept for a story that I couldn’t help but love it. Even if you’re not an adventure game fan, the story in this game alone is worth the price of admission and it’s proof that even in a genre where the gameplay is so repeated it has become cliché, that originality can prevail. This was definitely a lot of fun to play through the different time periods and locations, and if the thought of Mark Twain vs. Shakespeare in an eternal battle for their souls doesn’t pique your interest, than you are either a boor, or you have no imagination. 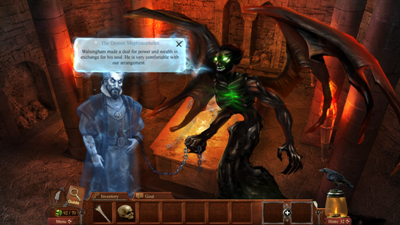 Like all adventure games, the graphics of Devil on the Mississippi are mostly static images, but the game begins with one “hell” of a cut scene that not only sets the tone for the game, but lets you know that Living Dead Team really tried to go above and beyond the usual trappings of adventure game visuals. The character designs are excellent, and it is trippy and sublime to see classic writers and their literary characters in apparitional form. Each character has a single static image (save for Samuel Clemens), but there can be slight changes to the images based on what is going on, dialogue wise. All of the cast and crew in Devil on the Mississippi are beautiful to behold and the backgrounds are equally well done. 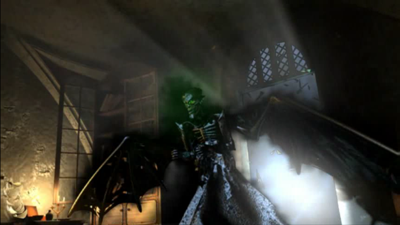 The graphics won’t win any awards due to the lack of animation throughout most of the game, but things that are animated, such as traversing waters on a demonic steamboat, are really impressive for both the genre and the price tag, and make Devil on the Mississippi as fun to look at as it is to play. Like most budget adventure games, there isn’t any voice acting in Devil on the Mississippi. The story and dialogue all occurs via text. Considering this is a budget game ($13.99 for Big Fish Games members, $19.99 for all others), it’s no surprise that there isn’t voice acting here. Still, I would have loved to have heard all of these characters talk with their proper voices and accents. It would have made the game EVEN better. The music and the sound effects in the game are very well done. The music is haunting and yet frantic at some points, tailoring itself to the mood of each scene wonderfully. It’s creepy and yet not distracting, which is just the right tone for this light horror/mystery title. The music will fade into the recesses of your head during the hidden object puzzles, which is just what you need when you are scouring the screen for that last missing item. Overall, the game does a enjoyable job of setting the stage aurally, and although you might have to turn the music down from its default setting, you’ll never want to turn it off. As Devil on the Mississippi is an adventure game, this means everything you do is controlled by your mouse. You’ll only need the left mouse button in this particular game, as you click on ghosts to talk to them, items to pick them up and add to your inventory, or to click on two items and combine them into one new thing. The game is exceptionally straightforward, and even if you haven’t played a video game before in your life, you’ll figure out how to progress through this in a matter of minutes. 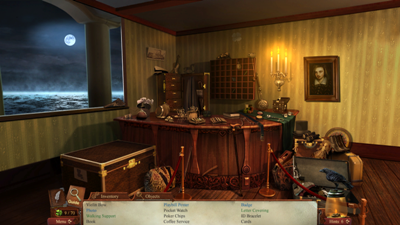 Roughly half the puzzles in the game are of the hidden object variety. 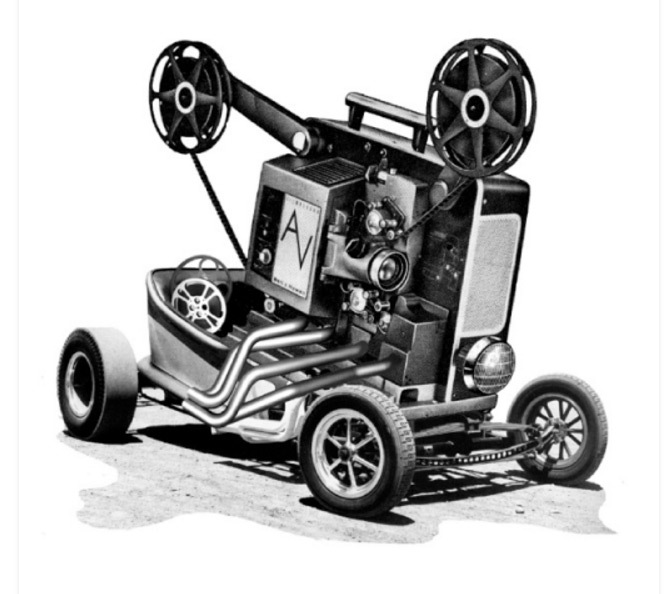 This means you will be given a list of objects to find in a given scene, and when you do, you click on them and they will be removed from the list. If you make too many wrong choices, the game will “hiss” at you. There’s no time limit, so it’s more a scold/attempt to make you jump more than anything else. Besides these general hidden object game elements, you’ll also be on the lookout for ravens and shamrocks throughout the game. Collecting seventy or more shamrocks unlocks a bonus “unlimited play” mode for hidden object games outside of the main story, and collecting 100 or more nets you an achievement. Finding ravens nets you a hint for each raven. 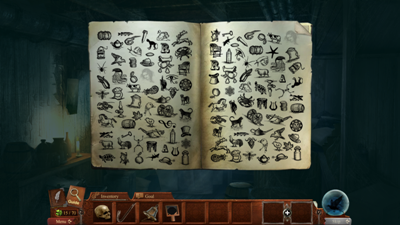 To use a hint, you pick an item from the hidden object list that you can’t find and then click on your stored collection of ravens. You’ll use one up, but it will find you the object in question. There are a limited number of ravens in the game, so use them sparingly, or not at all if you’re trying for the corresponding trophy. The rest of the puzzles in the game are pretty well done and vary considerably. There are some matching based puzzles, some balancing based puzzles, a puzzle where you have to properly time an explosion and more. They are all a lot of fun and make the overall experience of playing The Devil on the Mississippi a true pleasure. The controls are tight, the puzzles are varied, and as I said earlier, even if you’re not a fan of adventure games to begin with, there’s something in Devil on the Mississippi that will manage to win you over. Most adventure games are a “one and done” situation. This is vernacular for an exceptionally linear game that will play out the exact same way each time you play it, leaving no real impetus to touch it once beaten. Living Dead Team seems to be all too aware of that flaw with this entire genre, and so they’ve put in multiple steps to ensure you keep coming back to their creation. First, there are sixteen obtainable trophies. Some are story based, while others are based on decisions you make. 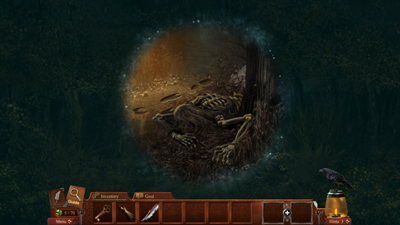 An example is a trophy for not using any hints, while another could be for finding all the ravens in the game. Some trophies are quite easy to earn, while others are pretty hard, so if you don’t get them all on the first go around, you can always replay to get the rest. 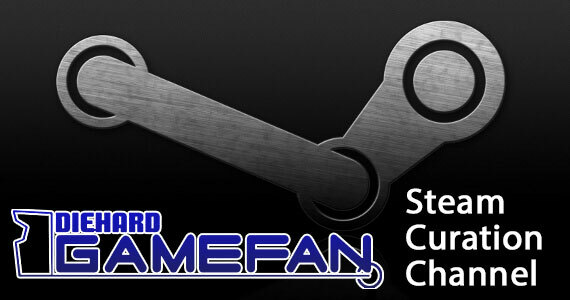 Besides the achievements, the Collector’s Edition of the game comes with two bonus modes. The first is “Dem Bones” where you have to find eighty bones hidden across the home of Samuel Clemens. This is MUCH harder than it sounds and I’m honestly stuck on seventy-nine. Trying to find the final bone will net me a trophy, but it’s also costing me my sanity. The other mode is a bonus chapter to the main game, where the ghost of Clemens returns to ask for your help in saving the spirit of Huckleberry Finn, who appears to have been ensnared by Mephistopheles. This involves a trip to Memphis, along with some new scenes and puzzles. It’s a lot of fun, and between the main story and the two bonus games, you’ll actually be able to get a lot of replay out of the game. There are also eight different “unlimited” hidden object puzzles you can unlock by obtaining seventy or more shamrocks in the main story. 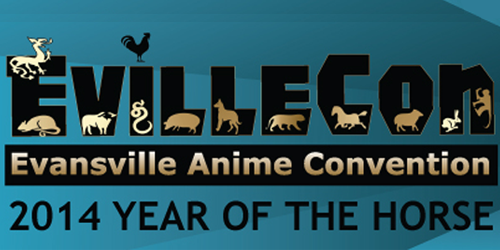 This, my friends, is a ton of content. Finally, there is an art room where you can look at the progression from sketches and or storyboards to actual in-game graphics, character models, cut scene footage and roughly a dozen wallpapers for you to download. I even have one wallpaper up live on my laptop monitor as I type this -they’re that good. Across the board, Devil on the Mississippi offers a good amount of replay value – far more than most adventure games. There’s a lot of content here, and all of it is high quality. Devil on the Mississippi is a very well balanced game. Puzzles aren’t necessarily hard, but if you find yourself stuck on what to do, you can either choose to skip the puzzle completely or use the strategy guide that comes with the Collector’s Edition to give yourself a bit of help. There is an achievement for not skipping any of the puzzles, so if you’re after those, it’s worth it to stick things out. For hidden object puzzles, you have those ravens that you collect throughout the game, and each one nets you the location of an object. With all these built-in balancing elements, there’s no reason why someone can’t beat the game. For things like the “Dem Bones” bonus content, there aren’t any built in fail-safes or hints, so it’s really to see how good you are at hidden object puzzles without a safety net. With the bonus chapter revolving around Huck Finn, you can use your leftover ravens from the main game, and with the unlimited hidden object puzzles, you start with one hint, and once it is used, you have to wait a spell before it has regenerated. It’s nice to see that the main story mode of the game offers players of all skill levels a chance to see things through to the end, but it’s also nice that at least two of the three post game modes offer you a higher degree of difficulty as well. Nicely done. Well, this is the only game I can think of that features Samuel Clemens vs. William Shakespeare with the devil thrown in for good measure. That alone is either genius or madness; I’m not sure which. As well, the game does feature some pretty cool puzzles unlike anything I’ve ever seen before in a video game. One of the puzzles is based on those balsa wood sculptures you’d make in physics class. Remember how you would make a bridge and see how much weight it could hold? Well, here you have to blow up a balsa steamboat making sure half the boat explodes while the other half remains unscathed. Pretty cool. Sure, a lot of the game rests on the tried and true trappings of the adventure game genre, but it has some unique puzzles, one of the most unique and whacked out storylines I’ve ever encountered in a video game, and it really stands out amongst my friends when I try to describe the game. To me, all those things show that Devil on the Mississippi can hold its own with the legion of hidden object and adventure games that have flooded the market. Devil on the Mississippi was a fun game to play through and I beat it in three sittings. It’s only a few hours long, but then I went back and played the bonus content and that lasted another two hours or so. It was a hard game to put down, although it was more because of my love of the two authors that the game revolved around than the actual product itself. I’ll also admit that when they decided to go the “Shakespeare didn’t write his own stuff” angle, I was annoyed at first, but then I got over it because hey, video game. Devil on the Mississippi gave me some fun puzzles, a truly original story to play through and it lacked the constant backtracking that has plagued the longer adventure/hidden object hybrids for a whole. It was one of those games that wasn’t very long, but it was quality from beginning to end, and it’s definitely something I’ll go back to someday if only because of how memorable it was. In describing the storyline of this game to friends, even people I know that aren’t into video games at all were intrigued and wanted to know where they could pick it up – especially after I told them how cheap it is. With one of the most intriguing story hooks I’ve ever seen in a video game coupled with a price tag of less than twenty bucks, Devil on the Mississippi is sure to bring in the curious and literature fanatics alike. As well, the Midnight Mysteries series is pretty popular with the casual game/hidden object fanbase, so it’s sure to sell just based on the branding alone. We normally don’t think of adventure games or anything considered casual as big sellers these days, but when you actually look at how many copies they move on the PC market, the volume can actually be up there with some high budget, heavily marketed console releases. I don’t think Devil on the Mississippi is going to break any sales records, but it is impressive on all fronts – enough so that if you decide to download the one hour demo of the game, you’ll walk away impressed, or even plunking down the cash for the full experience. For $13.99 you’re getting the full game, a bonus stand alone epilogue, eight unlimited hidden object mini games, a “dem bones” scavenger hunt, a full strategy guide for the game and some nifty director’s extras thrown in for good measure. That’s an insanely good deal. If you’re not a Big Fish Games member, the price goes up to $19.99, but it’s still a fraction of the cost of most console titles, and with a lot more content than several of those as well. Devil on the Mississippi is a great example of how a small dedicated indie studio can make a game that is just as good as any major studio, as long as they have the talent, drive and passion for this industry. Devil on the Mississippi is going to be one of the games I remember most about 2011. Give it a try and see why for yourselves. 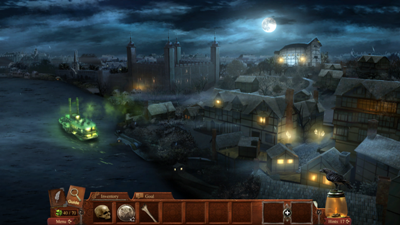 Midnight Mysteries: Devil on the Mississippi might not be one of the BEST games of 2011, but is certainly is a fun and memorable one. What other video game pits Samuel Clemens (Mark Twain), Williams Shakespeare and Mephistopheles all against each other in a one big psychic/spiritual battle? That in and of itself is reason enough to check out the game, but the fact the game has some fun puzzles, pretty graphics and a fun soundtrack make Devil on the Mississippi a well rounded game that any gamer worth their salt should check out. With a price tag ranging between $13.99 and $19.99, Devil on the Mississippi is definitely a deal worth picking up.